Our project portfolio spans across India, Middle East and South Africa. The project scope involved the land transport, load out and sea voyage of equipment for AL-JUBAIL refinery that includes 1 nos. Product Splitter & 8 nos. Catofin Reactors in our customers yard in Hazira. Lift & Shift India Pvt Ltd had previously executed a similar shipment in 2003 which gave the equipment owners the necessary confidence. 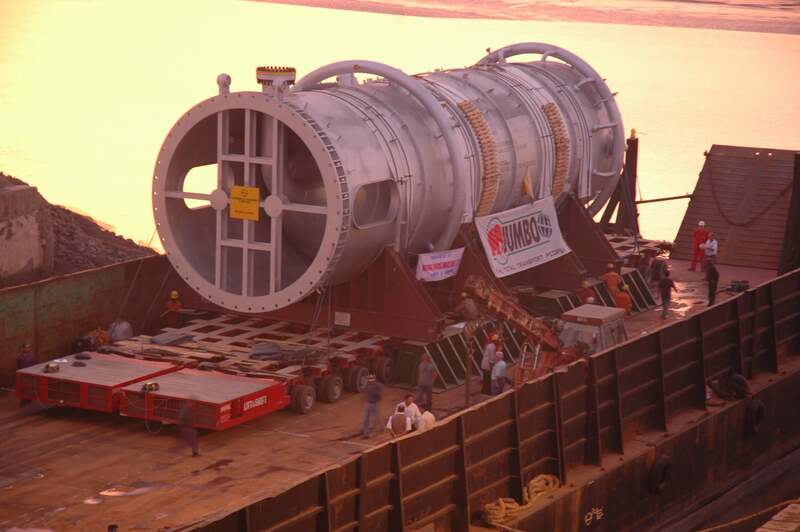 The Product Splitter was transported using a high capacity bolster box and a number of critical turns were executed on route to the load out jetty. The project was carried out with meticulous planning and all possible eventualities were taken in to account. The operation was conducted adhering to international safety measures. Lift & Shift India Pvt Ltd was contracted to do the land transport, load our and onward sea voyage of 8 Pre assembled units from Hazira to Abu Dhabi port in the Middle East. 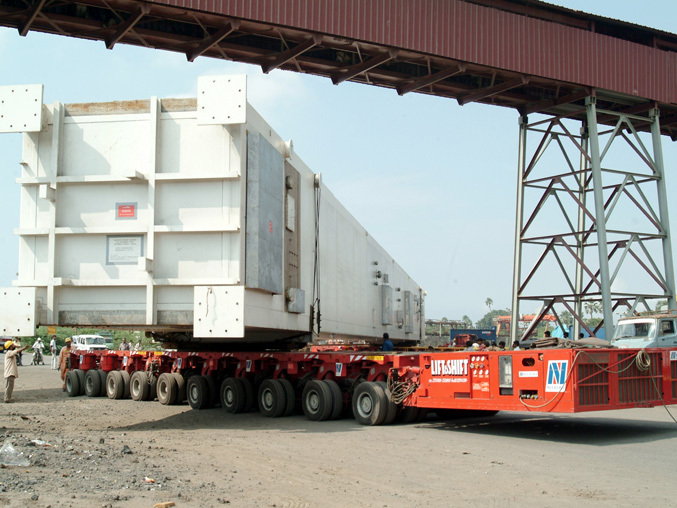 The unique challenge for this shipment was the nature of the load spreader beams that required for SPMT axles inserted transversely and driven with a 90-degree steering. 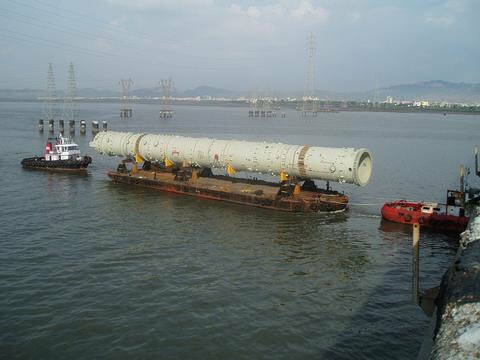 LSPL deployed 64 SPMT axle lines along with a 330 class barge for this shipment. 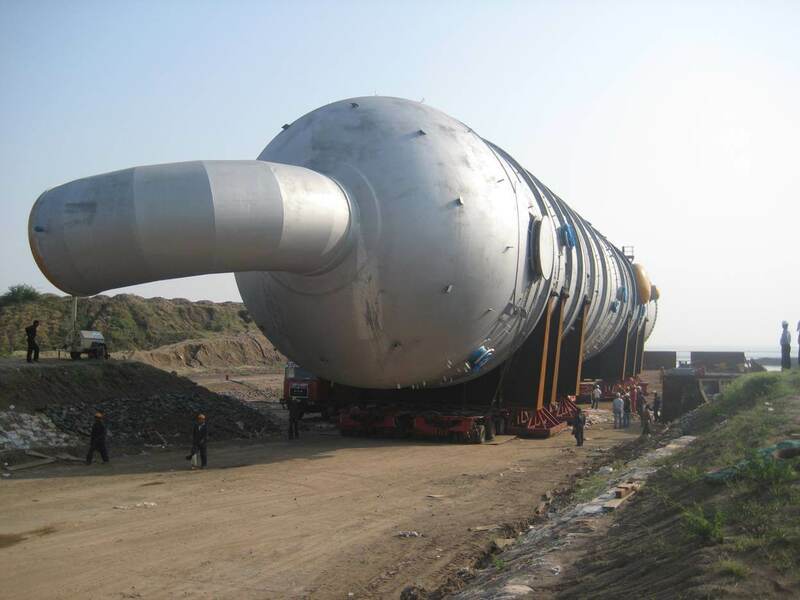 The onward sea transportation to the Middle East was done under strict warranty requirements that included weather monitoring and in dept route planning. Client Larsen & Tubro Ltd. In 1997 the Mangalore Refinery and Petrochemicals Ltd. Company was upgrading their refinery in the outskirts of Mangalore. They had ordered most of their major equipments from Larsen & Tubro Ltd. and Lift & Shift was contracted to carry out the transportation. 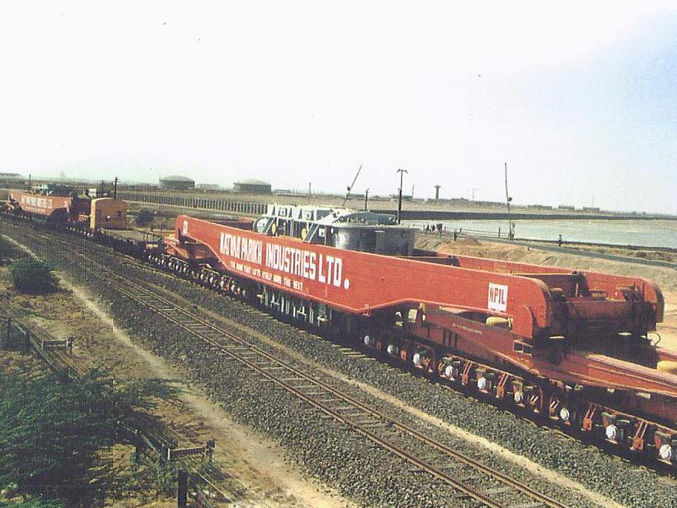 This entailed the roll on at Hazira, barging up to Mangalore port and the roll off and road transportation. The road transport included the crossing of several sensitive bridges which was achieved by the laying of flyover ramps across the bridge. LSPL was awarded the Handling of entire MRPL Phase III expansion which included Contracts from L&T Works in Hazira & from Godrej Mfg. Mumbai to Mangalore Port by ship/barge and thereafter transporting the equipment's to MRPL Phase III Site, including all Civil works [road construction within port up to main road ] & devising the special crossings over railway tracks at Chakote Village, by putting steel ramps over rails , as per joint design approvals of the various Railway offices in Goa, Karwar, Suratkal & Udipi. Scope also included handling of all EIL Cargo/Equipment, receiving the Cargo at Mangalore Port of any size or in container and transporting to MRPL Phase III Site. 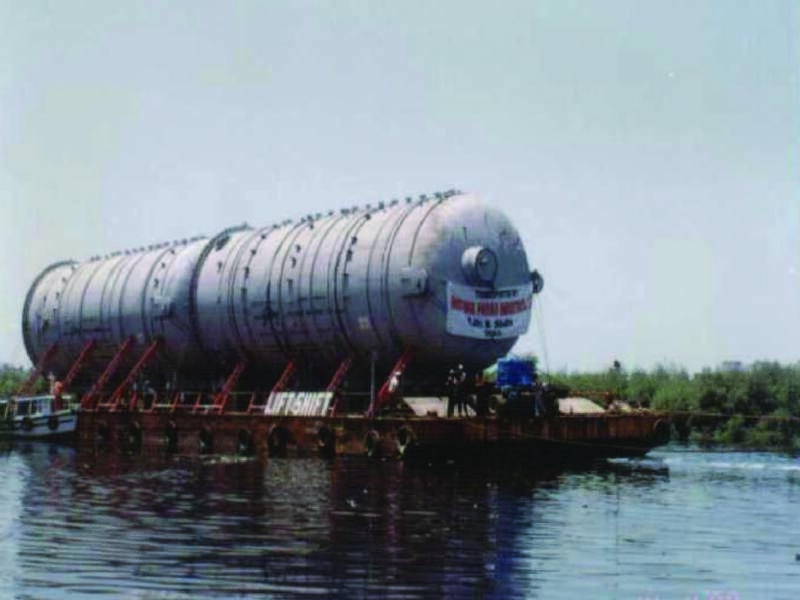 The project scope involved land transport, load out, sea transportation, load in and onward land transport of one DHDS Reactor fabricated at Hazira. 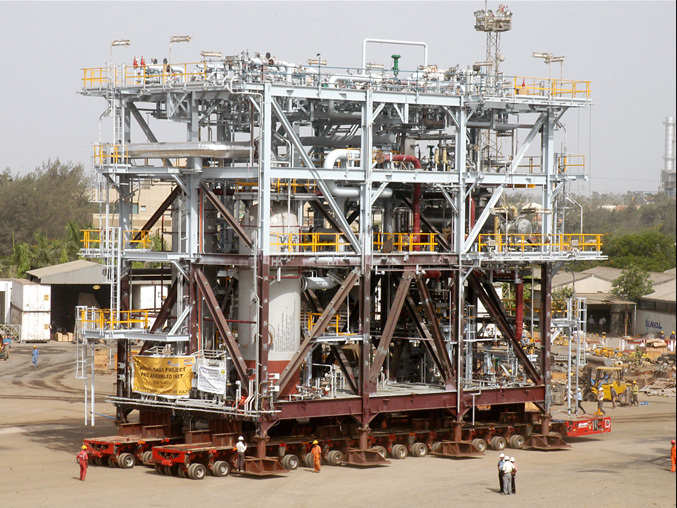 The final destination of the cargo was the Essar Oil Refinery in Vadinar, Gujarat. Lift & Shift team members worked meticulously to ensure a safe and timely passage of the cargo studying suitable jetty and roll on point at the refinery site. The client was pleased with the performance of the team. 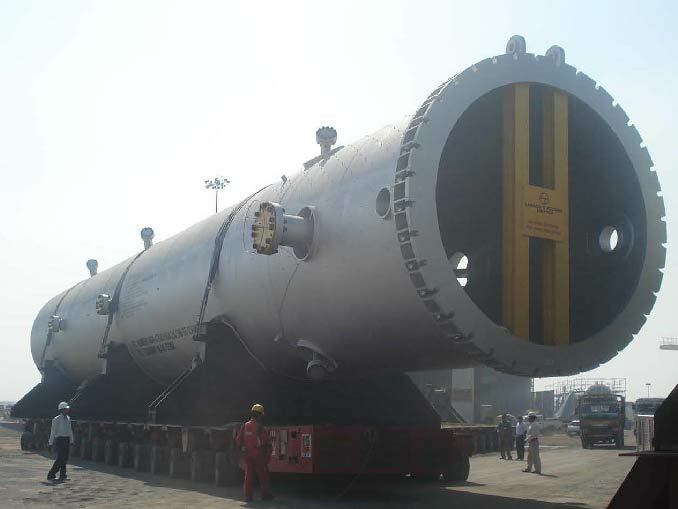 Lift & Shift India Pvt Ltd undertook the road transport of three Cold Boxes from Essar Steel Hazira Jetty to the ASU - Oxygen Plant III at Essar Steel in Hazira. The route involved critical turnings and liasoning with the local road authorities. Multimodal Transportation of FCCU Reactor in 3 Sections stowed on Barge "SUSHILA II"
Lift & Shift India Pvt Ltd successfully transported two equipment from Godrej Plant No 15 in Vikhroli to the Lift & Shift India Pvt Ltd Jetty and transported equipment via barge to Mumbai port where it was loaded onto a heavy lift ship. The equipment were transported in the night hours to avoid any issues regarding traffic . 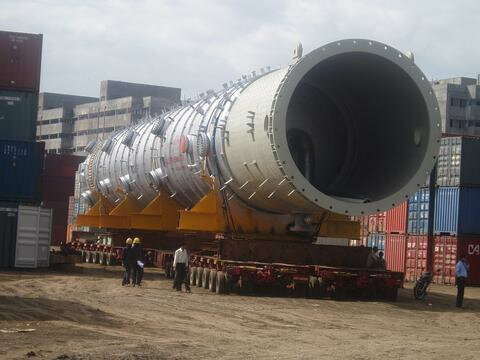 Lift & Shift India Pvt Ltd transported a PP reactor weighing 700 tons for Samsung Heavy Industries Korea from Vikhroli in Mumbai to LSPL Jetty. The transport was undertaken using a side by side axle configuration. 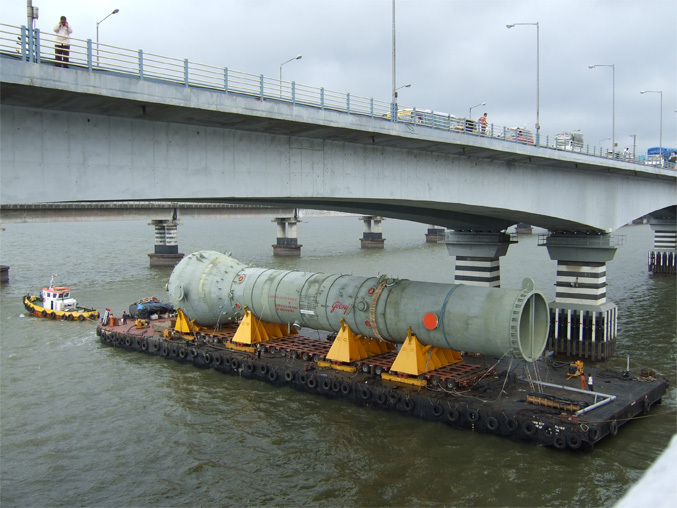 The equipment once loaded onto a barge from LSPL jetty and taken to Mumbai port for delivery to a heavy lift vessel. The critical element in this operation was the crossing of the barge under the Vashi Bridge where there was a low clearance. The operation was executed without any issues due to the proper planning of the LSPL team. 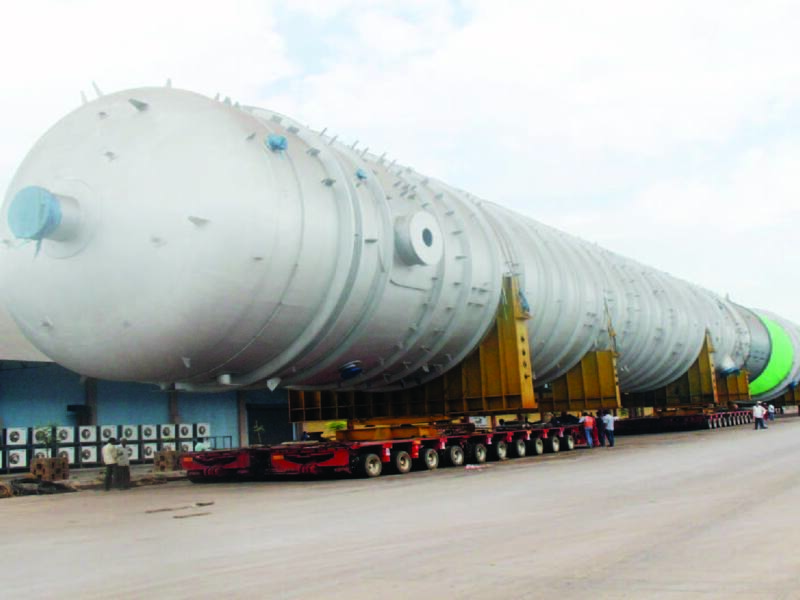 L&T's was awarded the biggest export order of 26 equipment's for a new expansion of Kuwait National Petroleum Company. 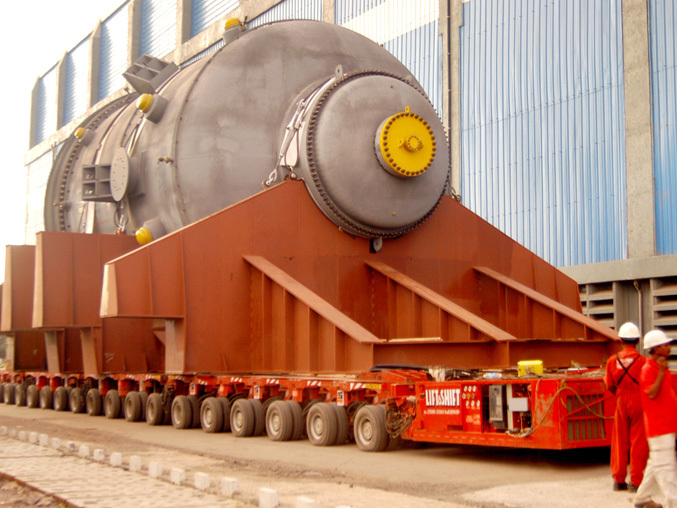 Lift & Shift's job was to transport these equipment's from L&T's Shop in Hazira to the Jetty. 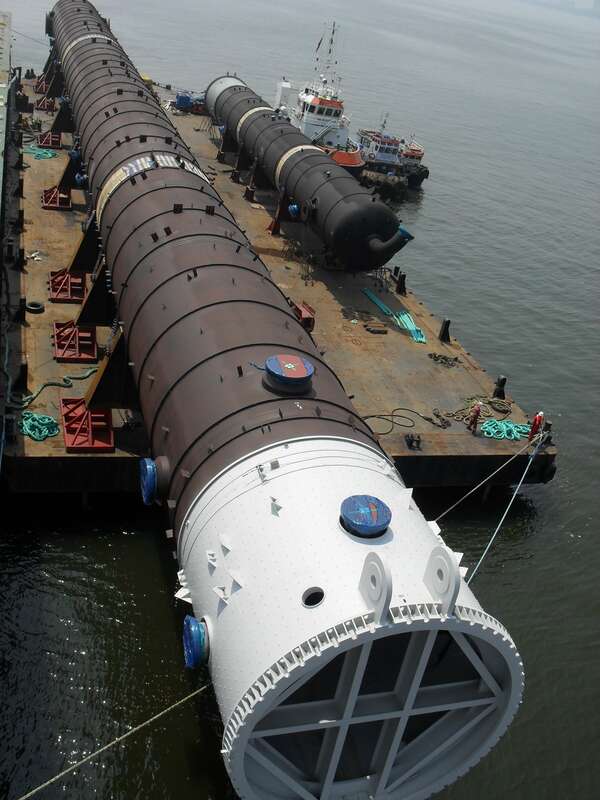 Thereafter, Roll-on of these equipment's and transporting them to EBTL Jetty in Hazira by use of a 300 Class Barge with cargo in each voyage weighing 4500 Tons and delivery to ship of JUMBO for further voyage to Kuwait. 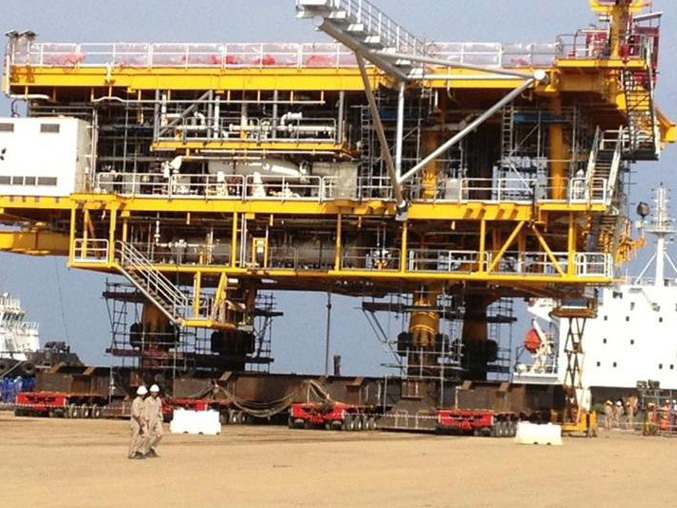 The MHN offshore project being one of the largest offshore projects executed in India involved LSPL planning and preparing for executing transports and load out of 20 modules comprising of Decks, Building modules, bridges, jackets, tripod, process platforms and technical platforms. 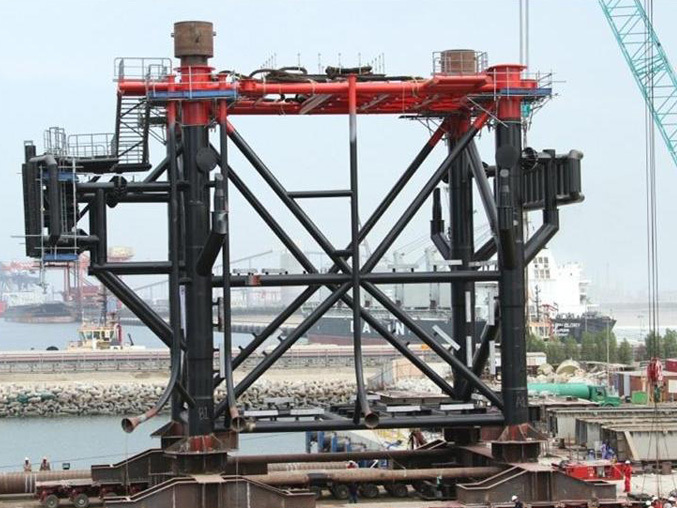 During Jan 2012, Five of the largest modules weighing between 3300 tons to 4500 tons were transported from the L&T fabrication yard to the L&T jetty and loaded out on barges over a period of 30 days. 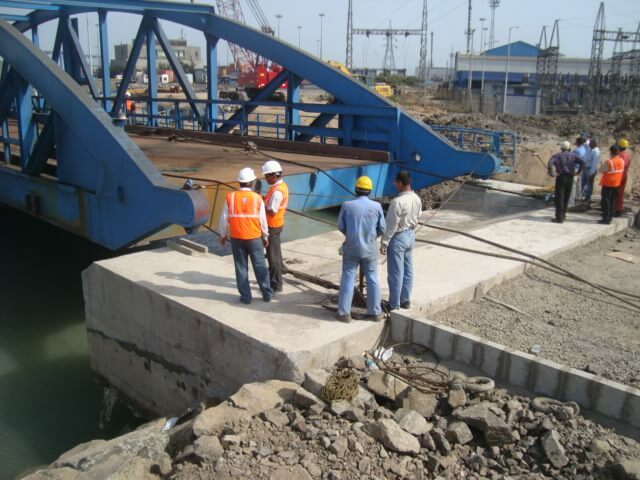 Lift & Shift successfully installed a RORO link bridge in Mundra for the Adani car terminal using a mix of ballast pumps, winches and jacking systems. 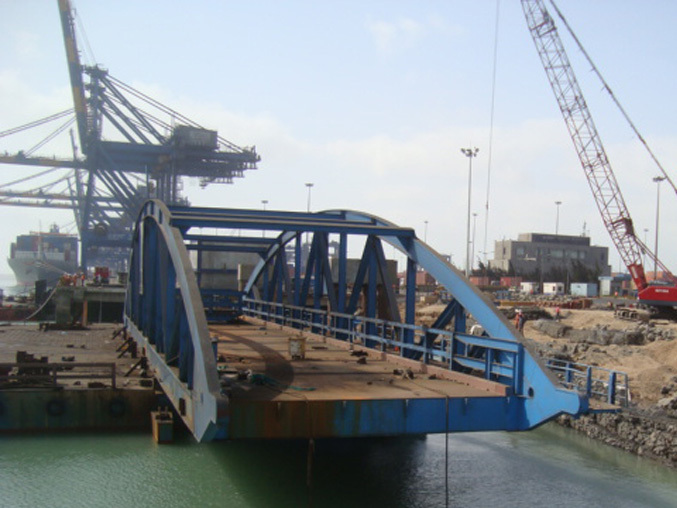 The contract called for a complete engineering solution as the bridge had to be skid off the barge and installed into a locking system which was already in place at the jetty. 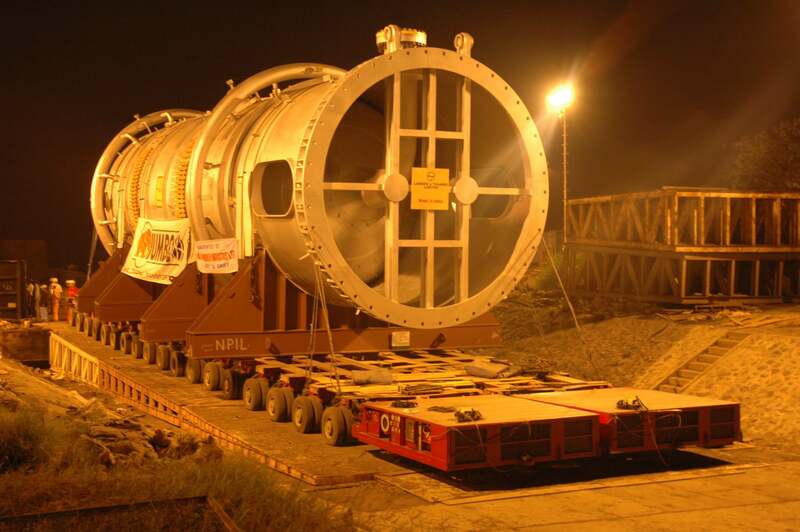 The Nuclear Power Corporation required the transportation of a 250 ton stator from Bharat Heavy Engineers Limited fabrication yard in Haridwar to their site at the Kaiga Atomic Power project. This was the first offshore contract for Lift & Shift in Oman. 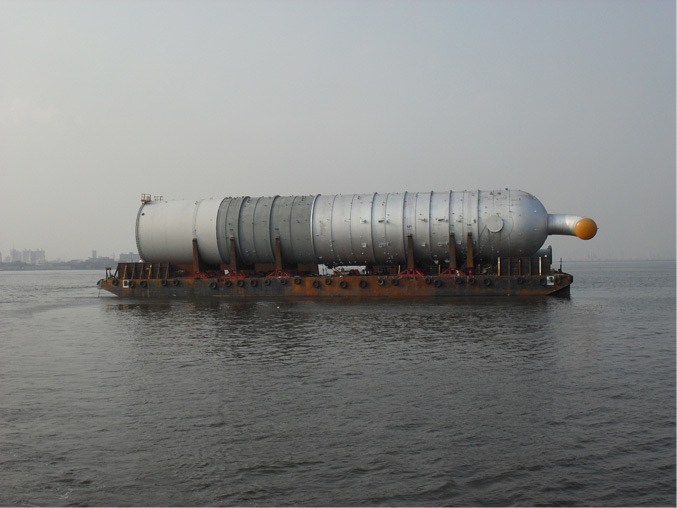 The scope of work included the land transportation from L&T MFY Sohar Yard(Oman) to the Jetty and load out onto a dumb barge. The team executed the mooring and stability analysis of the barge during load out and also supplied a high capacity ballast system to ensure the barge remains level through the operation. 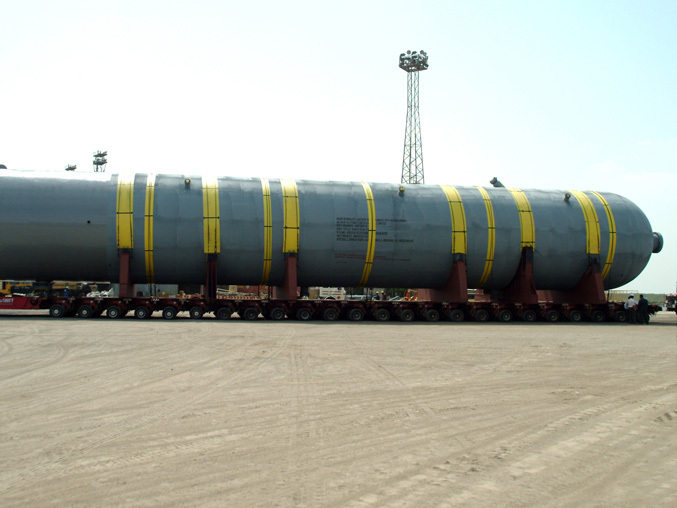 The scope of work included the land transportation from L&T MFY Sohar Yard(Oman) to the Jetty and load out onto a dumb barge. The team executed the mooring and stability analysis of the barge during load out and also supplied a high capacity ballast system to ensure the barge remains level through the operation. LSPL were awarded the contract for transports of entire lot of 36 ODC equipment's required for the setting up of the plant. 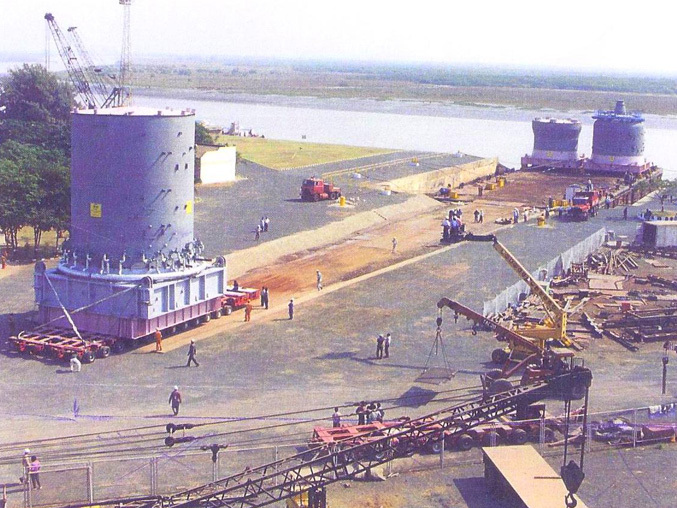 The equipment's were imported from Korea by ship and some equipment made in India was transported by sea from Hazira / Mumbai to this green field plant in Mangalore. The scope of work involved inland transportation of ODC equipment's from New Mangalore port to Ruchi soya industry for temporary storage, construction of temporary road inside NMPT for onward road movement to OMPL site including civil works for MARC project. 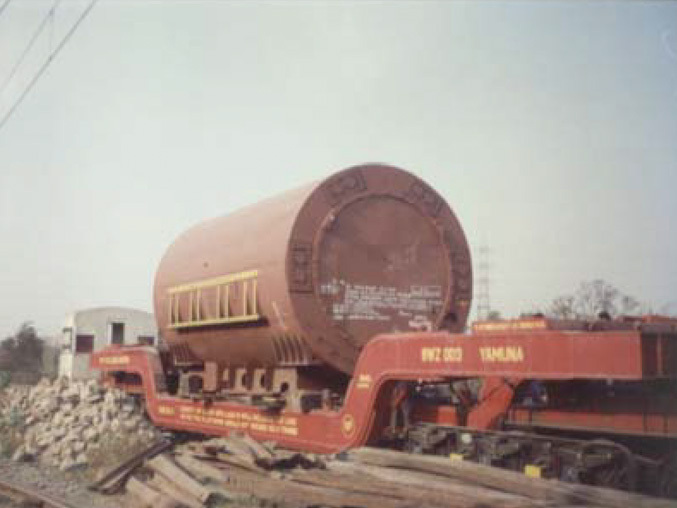 Transportation of Transformer on 24 axle wagon from Kolkata port to Pusauli station. 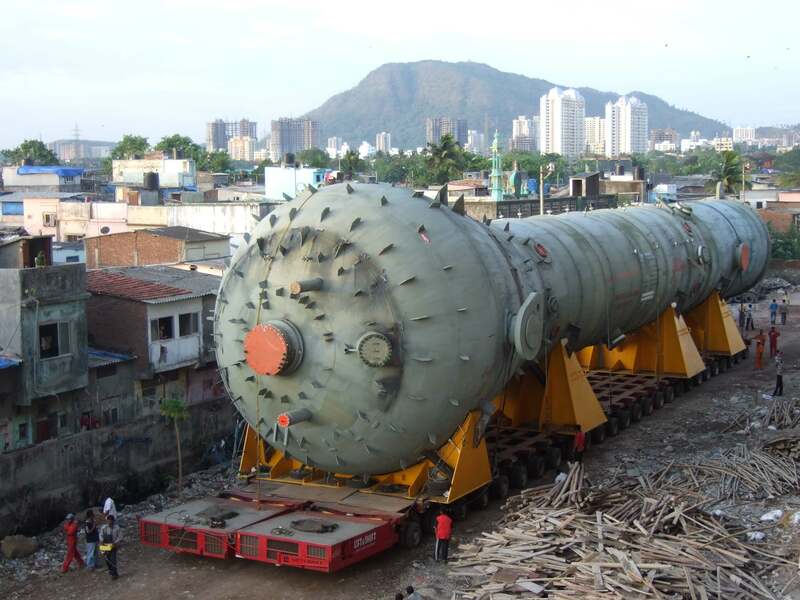 This project involved receiving 24 critical refinery equipment with weights ranging from 150 tons to 1500 tons and length up to 125 meter. 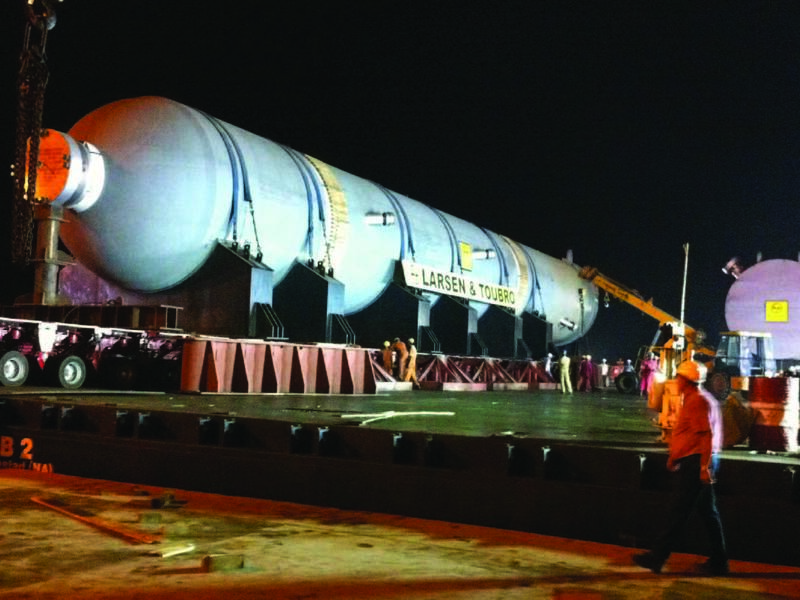 The cargo was received at Mumbai port under the ship's hook on LSPL barges and shipped to Dahej where LSPL had constructed a jetty and a temporary approach road of 1.2 km to the refinery site. 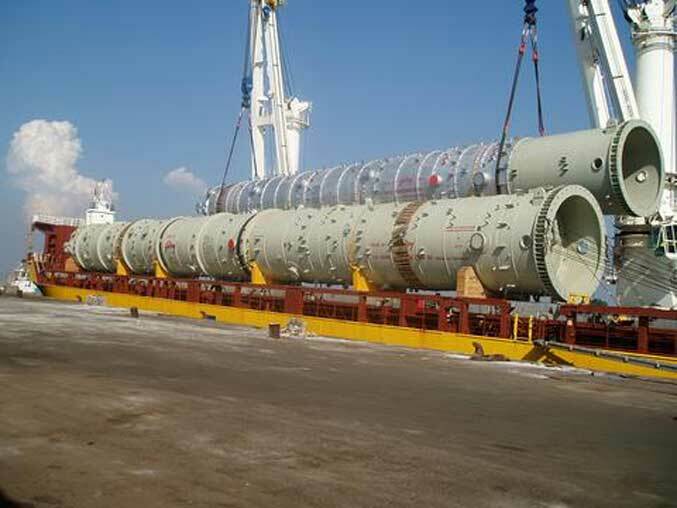 Lift & Shift India Pvt Ltd executed the transport, load out, sea fastening and onward sea voyage to East Coast Malaysia of a critical EO reactor for DOW Chemical USA. The equipment was to be transported to Kerteh, Malaysia, which involved a 1600 Nautical mile sea voyage and berthing at a temporary jetty. 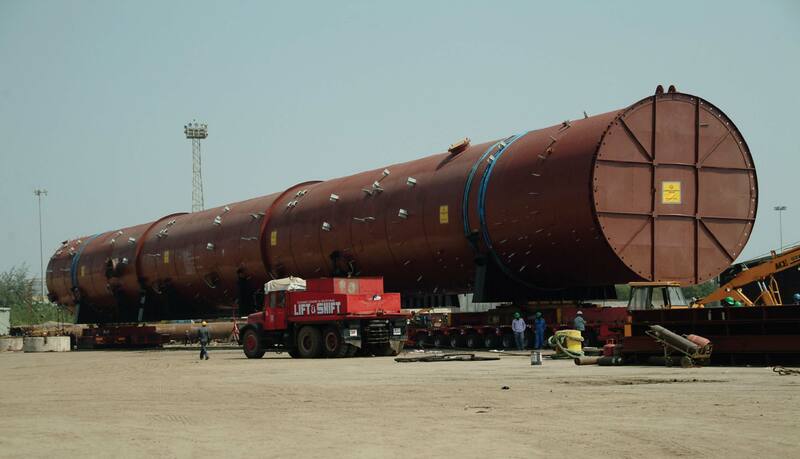 Lift & Shift India Pvt Ltd deployed a suitable amount of SPT lines and its own barge AF 300 along with tug AB 2000. The contract was executed smoothly with all safety measures in place ensuring a satisfied client. Lift & Shift India Pvt Ltd successfully completed erection work of Gas Turbine along with Generator using our 1000 ton Hydraulic Gantry System. The erection required precise planning and coordination with the clients civil team to ensure suitability of footings for the gantry. 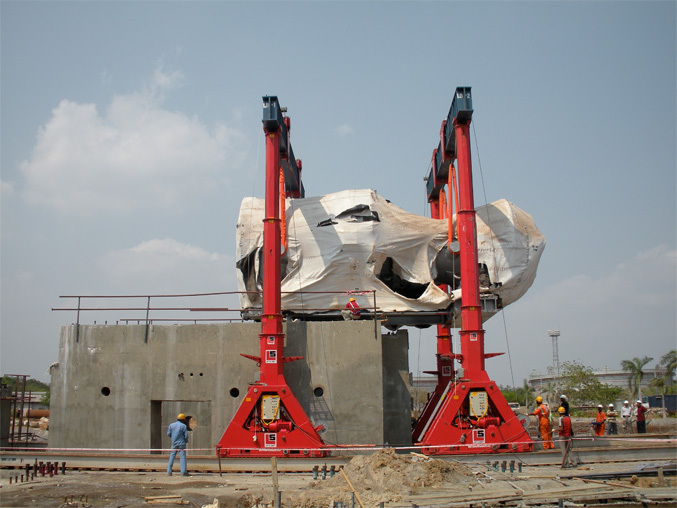 LSPL engineers ensured a smooth and safe erection. 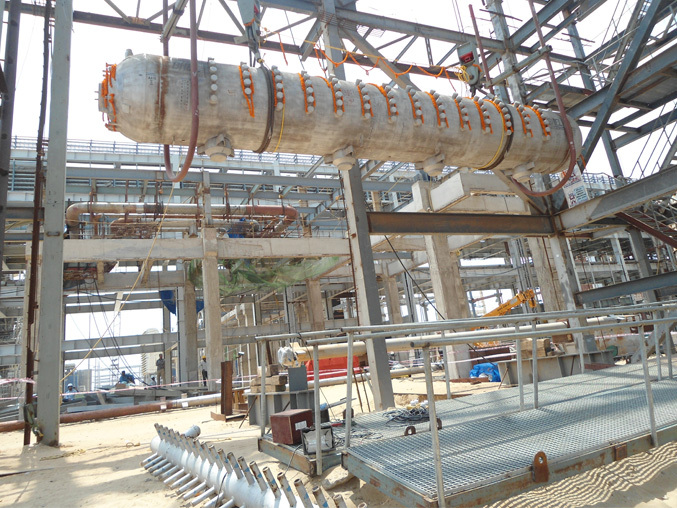 Lift & Shift India Pvt Ltd have successfully executed the lifting & placement of boiler drum utilizing Two DL-S185 Strand Jacks controlled by a state of the art system at IOCL Paradeep. The project was executed on behalf of Power Mech Projects and the execution was done to the satisfaction of the client.